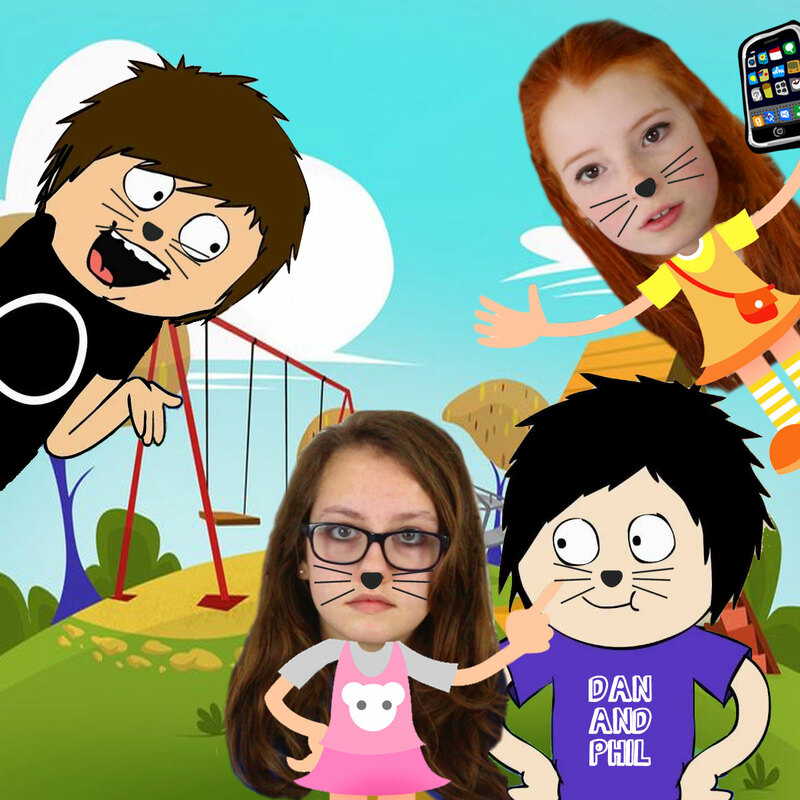 We were on the way to do a food shop with cartoon Dan and Phil, when we passed a playground on the way. 'Last one down the slide has to carry the shopping home' yelled Nia, and so we all ran into the playground and squeezed onto the slide. Poor old Phil was the last one to go down the slide. We were all secretly pleased about that though, as the shopping bags were going to be heavy.